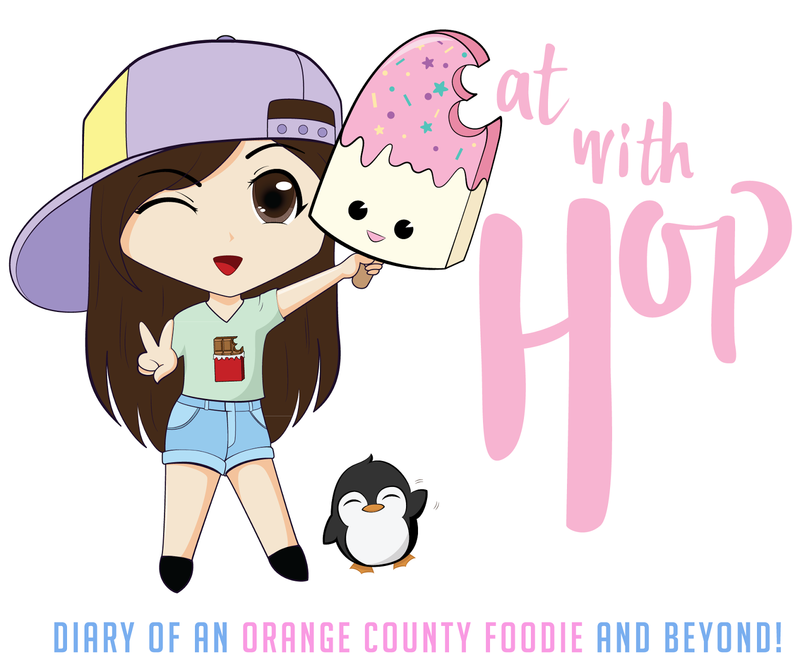 How To Order Those Instagram-Worthy Layered Drinks From Starbucks - EAT WITH HOP! 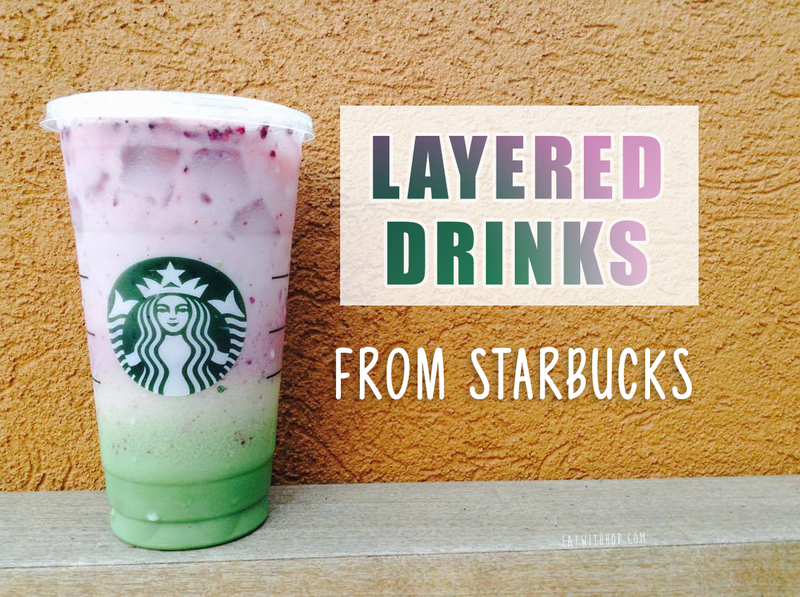 This is the year of the layered drinks! From galaxy drinks that are layered with beautiful blue and purple colors to other creative concoctions that involve a multitude of colors and flavors! It's all so beautiful to look at. The #aesthetics though are so IG-worthy but best of all, they taste so delicious and refreshing too! I wanted to try ordering a layered drink myself and happened to be at Starbucks (Tustin Marketplace) yesterday with Dominique (@thosearoundme) and Michelle (@justfoodlife). I intentionally ordered when it was not too busy because I felt a bit bothersome ordering off the menu and trying to make this ridiculous request of a layered drink. The barista / cashier named Eric was super kind though and seemed to know what sort of drink I wanted to order. Eric, the awesome barista, took the order and explained to the other baristas to make sure to layer it instead of mixing it to the color division would be visible. The drink disappointingly came out not as purple on the top and the layers were very faded. I ended up taking pics of it anyway but this is when Eric, became really awesome. He asked me if the drink was okay (I didn't drink it yet) and I hesitantly said it was fine. I admitted that it was my fault for giving a probably incorrect recipe. I could see the determination in his face. I patiently waited in my seat and watched him bust out his inner scientist, mathematically calculating in his head the right proportions to pour, when to pour, and which recipe to use to create the perfect purple-green gradient. The result was a success! Mad shout out to Eric from the Starbucks located at the Tustin Marketplace (or is it Irvine... debatable...) for not giving up! 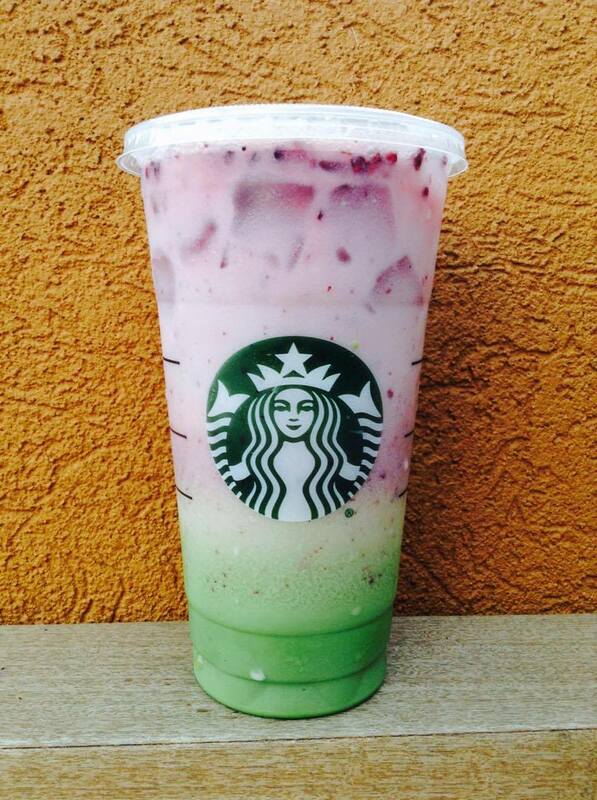 The result is a beautifully layered passion iced tea with soymilk + matcha latte with added berries on top. 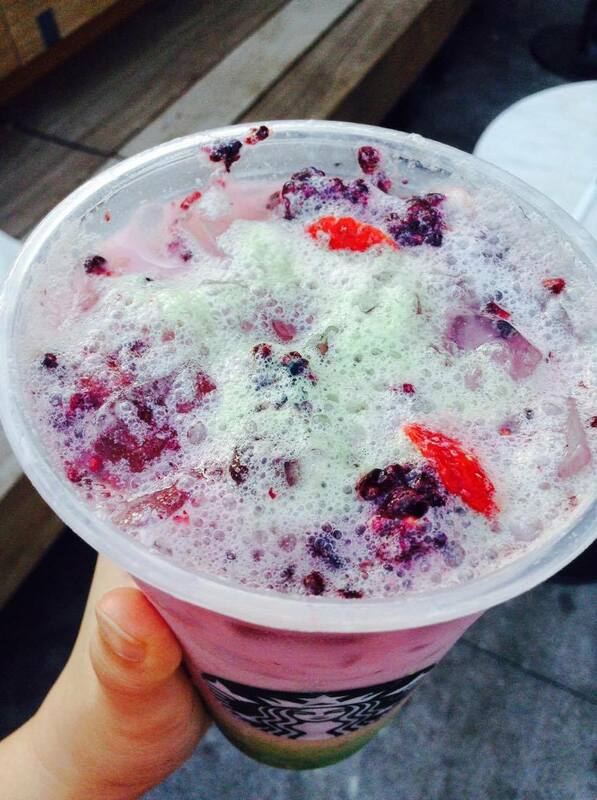 Look at that green tea foam on top and the berries! YESSS! This drink actually tastes quite amazing too. 10/10 recommend y'all! I merrily went outside and took pics for the Instagram - and of course for this blog. I absolutely love how it turned out! When I went back inside to drink it there were already other customers staring at this beautiful creation. They asked me what drink it was and I was just pointing to Eric saying, "Eric will take care of you." Some other people thought it was the cherry blossom green tea drink (famous in Japan) but unfortunately that doesn't exist over here in the States. Read my rant about it here. I noticed Eric was really careful with pouring the components into the cup. It was actually pretty cool watching! Eric was also the cashier that took my order and charged me aroudn $6 - $7 for the drink (venti size). note: I felt super bad because he had to make me another drink to get it perfect and so I tipped $5. But it was all worth it and well deserved! Also, props to the other baristas that made the first drink because they really tried too! Thanks for all the efforts! It's hard to expresso my feelings, but I like this drink a latté. This drink seems to be all the hype in Asia so I decided to give it a try here in the US! Here's the "secret" recipe: one shot of Espresso☕️, Caramel Syrup, and any Milk🍼 on the bottom with Matcha Tea Blend🍵 on top. Hopefully you guys enjoy this drink as much as I did 😋 Cheers!! Remember to be courteous to your barista! It's an off-the-menu item so it might be a little difficult to convey the drink you want, especially if it's something the barista has never heard of. Which layered drink would you want to try?